This therapy awakens the lines of communication between the brain and your body, thus producing amazing healing results. ​Theodore J Rick CMT, CPMT Developer of Taj Kinesiotherapy™. ​Come to Healing Taj and experience what you have been missing!! 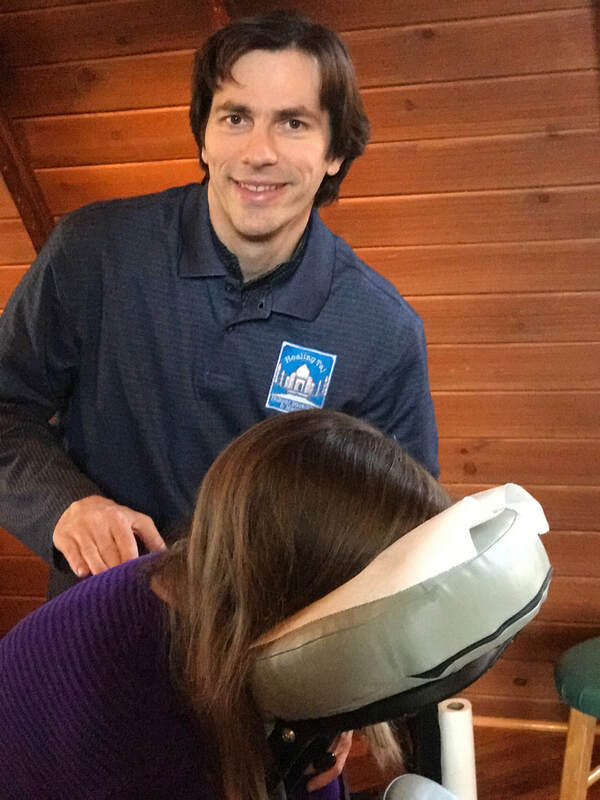 As an athlete, massage therapist, and naturalist, I strive to help people of all ages and abilities to live healthier, fuller lives. Growing up in the Minnesota countryside, I learned to love local food, healing herbs and really appreciate natural living. I was a three-sport athlete, excelling at cross-country, soccer, and track. My father is a mountaineer and outdoors-man that encouraged me to push my limits in every way. After the school sports, I dove into adventure courses with the National Outdoor Leadership School, the Boulder Outdoor Survival School, and Wilderness Awareness School. I lived on the edge - taking desert survival classes, wilderness vision quests, working with Native elders, medicinal plants, and becoming a skilled naturalist. In 2002, I added massage training with Sister Rosalind Schools and Clinics of Massage to my repertoire, later becoming a licensed practitioner. As I began to work with more and more clients, my desire to have a strong impact on the daily lives of those I served grew and grew. With all my world travels I always dreamed of combining sound and voice therapy with massage, so my journey led me to develop the Healing Taj Method. Then I discovered Active Isolated Stretching! ​AIS is transformational bodywork. With the right coaching and assistance, clients relax, strengthen and heal areas they couldn’t before. AIS work helps decrease pain, promote muscle healing, and improve stability. My clients have been able to come off pain killers, avoid surgery, and enjoy life again! a relaxation technique that integrates the brains most powerful centers unlocking its ability to deepen brain frequencies; thus triggering repair and rebuild cycles all over the body. He is also an advanced practitioner of Active Isolated Stretching which is highly effective in restoring mobility. Finally, Theodore has extensive experience with Reflexology, Qi Gong, Gua Sha, Swedish, Deep Tissue, pregnancy, pediatric and hospital massage. "I am grateful for all the incredible teachers I have had over the years, from Sister Rosalind to Aaron Mattes and clients in Dominica to Poland. "